Good source of gut healthy fiber, plant based protein, iron, and vitamin C. Recipe calls for olive oil to provide healthy fats for growing brains. Simple Starters provide a flexible and time-saving solution for delicious, homemade baby food. We give you prepped, flash-frozen ingredients to lock in nutrients and fresh taste. 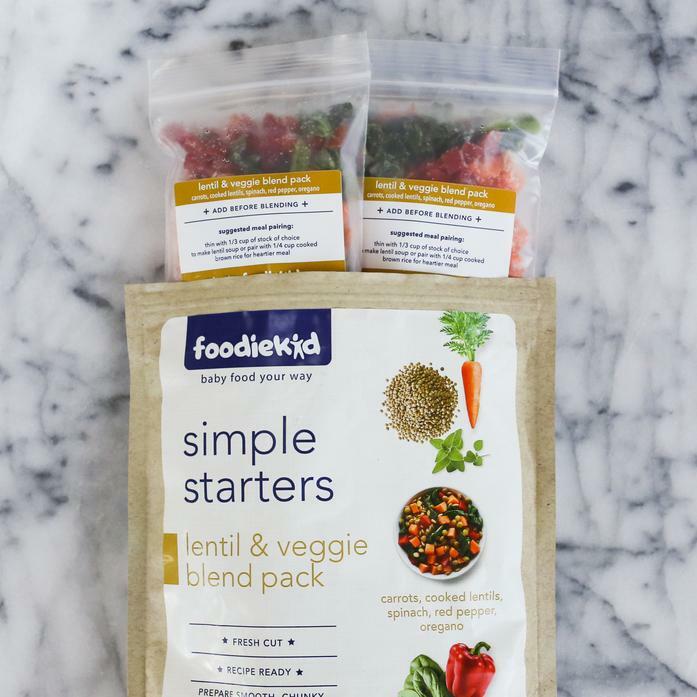 Each pack comes with recipes and meal inspiration to help develop your future FoodieKid. Created by FoodieKid based in Brooklyn, NY.